The White Pine Chapter welcomed stitchers to Frankenmuth, Michigan on August 14, 2010 for A Michigan Picnic, our State Day event. 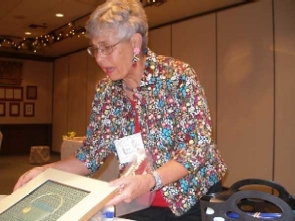 We had two Michigan teachers; Ann Strite-Kurz taught an appliqued picnic basket canvas class and Sherri Jones taught a counted thread class featuring "spots" in our state. Myrtis Justiniano taught one of Carolyn Sherman's beaded boxes. 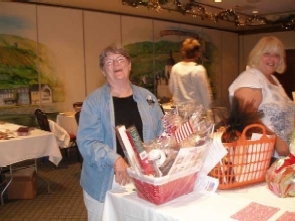 We enjoyed a fun filled day complete with favors, door prizes and wonderful Opportunity Drawing baskets. White Pine members are to be commended for all their hard work and donation of their time and talents to make this a successful day. We especially wish to thank GLR for the grant money for teacher fees. Without this we would not have been able to make this day happen. 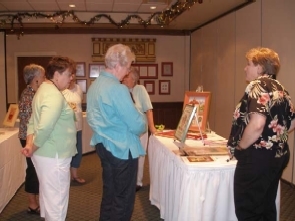 The Youngstown Area Chapter hosted Ohio State Day on September 25, 2010. Thirty-four EGA members from Ohio, Pennsylvania, Maryland, and Michigan participated in this exceptionally well-taught class. For some adventurous members, this was their first stumpwork class. 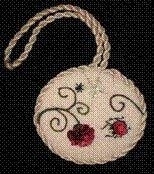 Marsha Papay Gomola taught the stumpwork friendship scissors fob she designed especially for this event. Stumpwork is a style of embroidery where the stitched figures are raised from the surface of the work to form a 3-dimensional effect. 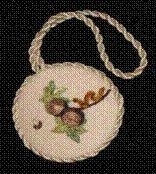 The scissors fob design was stitched on 32-count linen and included a carnation, ladybug, and two buckeyes, all Ohio state symbols. A bee with raised wings, silk velour worm, and spider webs with spiders done with silver metallic thread added finishing touches to our scissors fob. 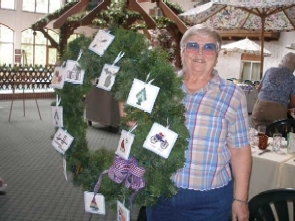 Each participant received a needle roll with a stitched cardinal, the state bird; the needle rolls were completed by members of Youngstown Area Chapter. That Saturday was a perfect fall day to enjoy with friends. It was warm, the sun was shining, and the leaves had just begun to turn to reds, oranges, and shades in between. The Lariccia Family Community Center in Boardman, Ohio, was the ideal setting for an EGA workshop; the lighting and seating were wonderful. 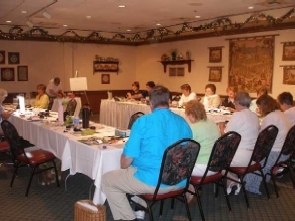 Our workshop was set up on one side of the room, and our delicious catered lunch was served on the other. We even had the opportunity to buy needlework designs, stitched items, and supplies from two well-known area vendors. 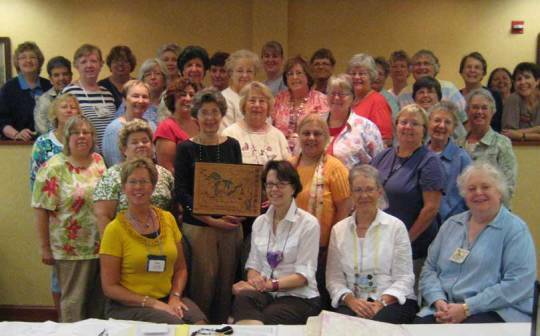 The Madison Area Chapter hosted Wisconsin State Day with Catherine Jordan on August 19-21, 2010. 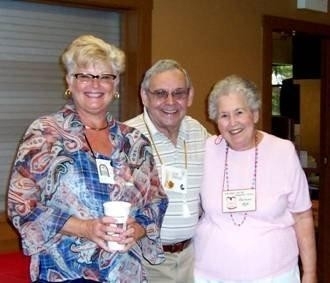 Our attendees enjoyed their time together!